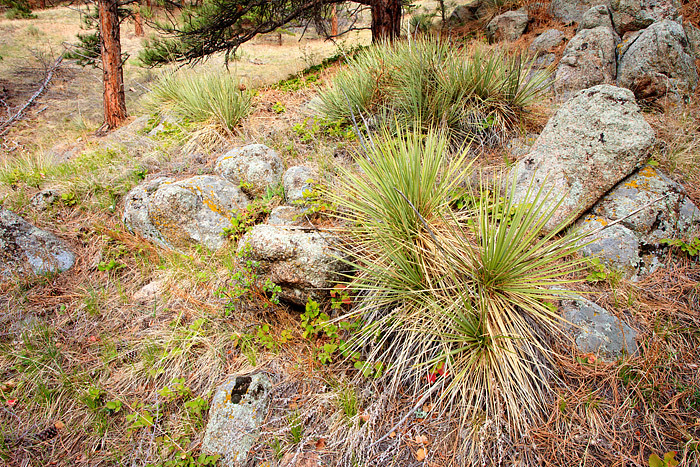 A plethora of Yucca's grown amongst the rocks and boulders on the summit of Flagstaff Mountain. Flagstaff Mountain just outside of Boulder, Colorado is popular with hikers and local climbers but is also one of my favorite Open Space areas for photography. Photo © copyright by Thomas Mangan.